NYPD to Launch "Domain Awareness System"
Mayor Bloomberg is expected to announce Wednesday that the NYPD will soon launch an all-seeing "Domain Awareness System" that combines several streams of information to track both criminals and potential terrorists. Police Commissioner Ray Kelly said last month while speaking at the Aspen Security Forum in Aspen, Colo., that the city developed the software with Microsoft. Kelly said then that the program combines citywide video surveillance with law enforcement databases. The NYPD has been under fire for surveillance of Muslim communities and partnering with the CIA to track potential terror suspects. Muslim groups have sued to shut down the NYPD programs. 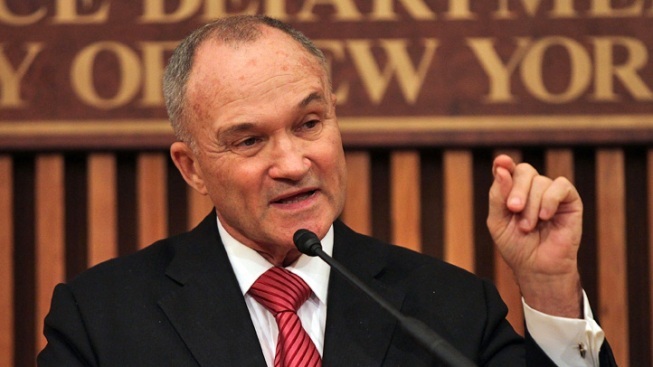 Kelly has defended the policies as key to thwarting 14 terror plots against the city since the attacks of Sept. 11th.